“Dry drowning” is a myth, but wet drowning is definitely not. Children must always be supervised while swimming. For years, always beginning in the spring, reports of "dry drowning" have appeared. Last year, when the death of a young child in Texas was attributed to "dry drowning," the resulting accounts spread significant fear among parents. Social media, in particular, spread tales of healthy children who suddenly developed respiratory emergencies or even died without warning, sending legions of "worried well" to emergency departments and pediatricians' offices. Well-meaning activists posted warning signs at local pools and organized awareness campaigns and legislation. Yet, there is no such thing as "dry drowning." People who think "dry drowning" exists describe it as a rare condition. The definition of drowning, established at the 2002 World Congress on Drowning, is "the process of experiencing respiratory impairment from submersion or immersion in liquid." In other words, no drowning can occur without exposure to liquid and some respiratory problem. What do we mean by "mild symptoms"? Anything that feels worse than the sensation that, while drinking a glass of water, some of it went down "the wrong way." Every "dry drowning" tragedy has later been found to have its roots in another medical condition. But this part of the story seems never to make its way to social media. Frankie Delgado, the 4-year-old boy whose 2017 death renewed the Facebook fervor over dry drowning, was later found to have died of viral myocarditis, a rare but dangerous heart condition with no relation to drowning, swimming, or any other water exposure. Other "dry drowning" cases have later been traced to rib fractures, pneumonia, collapsed lungs, and numerous other well-known medical conditions. It has happened that people have died of drowning hours after leaving the water. But they died of untreated complications from "wet" drowning, not any sort of esoteric condition that could not have been prevented by timely medical attention. Nearly every major medical organization has spoken out against misleading terms such as "dry," "near," or "secondary" drowning applied to cases in which a patient got worse within hours of water exposure. Think of it this way: If someone develops pneumonia related to food entering the lungs during a choking episode days earlier, he has not experienced "foodless choking." That term makes no more sense than "dry drowning." Words matter when it comes to caring for our children. The widely spread tales of critically ill "dry drowning" victims succumbing days after swimming to a "rare" medical condition created fear among parents. Many likely grew to distrust physicians who tried to assure them their children did not need to be evaluated for a mythical condition. 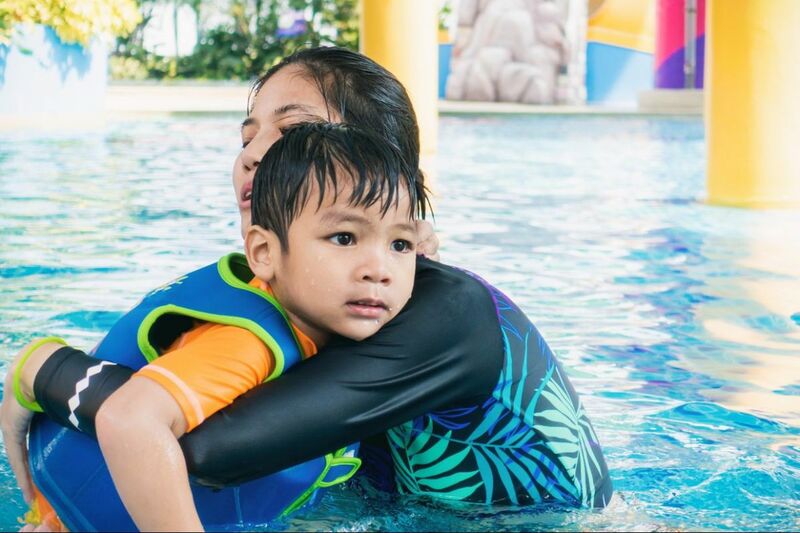 Worse of all, the "dry drowning" uproar drew attention from the real crisis we face every summer: protecting children from all-too-real drownings in swimming pools, natural bodies of water, even 5-gallon buckets for the youngest kids. Online networking platforms are an ideal medium to spread important information about public health and patient care. But we owe it to ourselves and to our children to approach information — especially anything that sounds hard to believe, or doesn't come from sources we know and trust — with skepticism and diligence. And if it sounds especially unlikely — "dry drowning" surely fits that description — always be extra cautious.